What I love about drinking wine is that you don’t have to know anything about it to enjoy it. There was a time when I didn’t care about its color, creed, or origin and embraced my blissful ignorance. Back then, choosing a wine meant ordering red, white, or pink. Yes, this is obvious. Personally, I am almost as afraid of asking the wrong question as I am of giving the wrong answer. However, I pushed myself to ask servers, managers, bartenders, sales clerks, and anyone who seemed knowledgeable questions about wine. Inevitably I asked the “wrong” question and this happened on more than one occasion, but I learned from those mistakes. In fact, people actually seemed to enjoy correcting me (not in a snooty wine snob way) but as if they had been in my shoes at one time and could now redeem themselves. Now I sometimes pay it forward. Depending on the situation, I ask questions about the grapes, the region where the wine comes from, food pairings, and if all else fails I ask one of the most obvious, but often overlooked question, “What do you recommend?” This can be a powerful question and can unlock a lot of good information. If you’re in a place that specializes in wine, then most likely you are near someone who has an opinion about wine and some experience drinking it so take advantage of the free information. Often the descriptions on a label or provided during a tasting provide a great deal of info on the wine properties (i.e., grapes, year, origin, tasting notes, etc.). I like to read the description and then taste the wine to see if I pick up what the description is telling me. I try to pick up the tasting notes, imagine the flavors of the wine combined with the perfect food pairing, and take a “picture” with my tastebuds to train my brain to associate the flavor with the varietal and region. Sometimes, I try doing the reverse. This is especially fun when you’re with a group. I try to guess what it is and pick out the flavors. Inevitable, I’m doomed to fail, but as I mentioned above wrong can be good. It doesn’t matter if your friends are Master Someliers or keep a box of Franzia in the fridge seven days a week, they can be your best and most fun sources on information. I always ask my friends for recommendations and if they’re game, coming to consensus on a bottle of wine at dinner can be a very lively conversation. You can sign up for a class together at a local wine shop or one at the Washington Wine Academy. For me, there is something about wine that is inherently social and should be shared with at least one other person. Mobile apps are great for wine knowledge on the go. 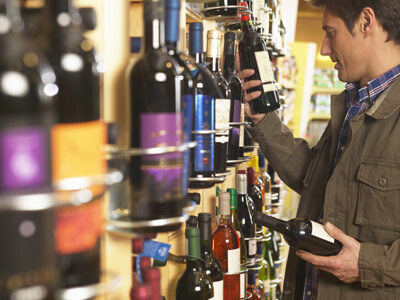 Many apps like Vivino and Corkbin, allow you to track wines you like and get information about them by taking a picture of the label. You can create profiles for each wine, rate them, and share your favorites on Facebook and Twitter. Hello Vino also offers recommendations for food and wine pairings and provides suggestions based on occasion and taste preference. The first book I ever picked up (on wine) was the Wine Bible, by Karen MacNeil. It is pretty dense and well-organized so I treat it like a reference book, skipping around to whatever section I need at the time. For anyone looking for the basics and wants something that gives you a pretty good overview of wine, I enjoyed Oldman’s Guide to Outsmarting Wine: 108 Ingenious Shortcuts to Navigate the World of Wine with Confidence and Style which someone recommended to me. Another one I’ve heard good things about is Drink This: Wine Made Simple by Dara Moskowitz Grumdahl. And if you like a little snark with your wine, there’s Swallow This by Mark Phillips. I’ve saved the best for last. The more varied your wine drinking, the more likely you are to pick up the nuances and to form opinions about what tastes good to you and what tastes bad and that makes you a savvier wine drinker. The beauty of it is that when it comes to taste, no one has the market cornered so drink what you like and you’ll never go wrong.